Hey Wreck sorry about the OK St loss last nite to Missouri but that was probably one of the top 5 games I have watched all Bowl season. Agreed - this was one of the best bowl seasons for upsets and close games... lots of very good games. You didn't include the Bama/OK game above... assume you spaced it?! That was my favorite - the others were all very good too. I think they would reviewed the coin toss if we had won it. I am a college football fan and am willing to admit what conference happens to be the best. Right now it is the SEC, far and away from top to bottom and that's with a weak Florida program. I will age myself, but there was a time when the South West Conference was the best and there was a time that the Big 10 could lay claim to it. I am not sure if the Big 8 could only because for years there was just OK and Nebraska and the rest were eh. But for a couple of years the Big 12 was up there with OK, Neb, K-State, Kansas, Mizzou. I believe that if Bama had played OK in the regular season and it meant being part of being #1, Bama would have won. That being said I give the Sooners credit for their victory and showing up to play. Frijole's favorite coach is the OC at Alabama!! 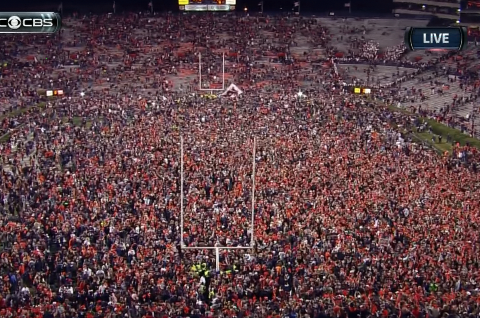 THE GREATEST IRON BOWL EVER … TIGERS WIN, TIGERS WIN, TIGERS WIN … WAR EAGLE!!! It was an Iron Bowl for the ages, the #4 Auburn Tigers stunned #1 Alabama 34-28 on the final play of the game. The Crimson Tide tried a 56 yard field goal with 1 second left on the clock to win the game when another miracle happened on The Plains. The FG was short and the Auburn Tigers’ Chris Davis ran the ball back 108 yards for a game winning touch down. This is why we love college football!!! One of very good friends is an Auburn grad and I think he nearly lost his mind today with today's win. We had been texting back and forth thru the game and then it happened ... The "Second" Miracle at Jordan Hare. The NCAAF coach's convention starts tomorrow in Indianapolis, son was flying there today and texting about the delays and hinky route they had to take - down to Orlando then back to Indy? Anyway, everyone please send him good karma, he's got 3 interviews scheduled for possible full position coach jobs in D-1. He's ready to step into the future, anxious to do so. Good luck for your son's interviews, None. Thank you sweet Muffybee I hope you are doing well and that your family is thriving! My next favorite is the new QB coach and a candidate for OC at Texas! Cool None! Excited for him. IMO I think the game will hinge not on the weather, but whether the officials actually allow the game to be played on the field. If the refs allow Seattle to play defense, the Seahawks will win. 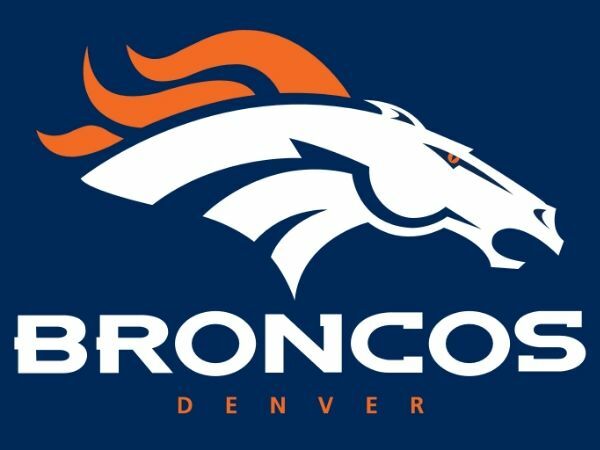 If the refs allow no clutching, no holding and call everything, Denver will win big. I am a traditionalist and in many cases cannot stand the video game that the NFL has become. There used to be a saying that defense wins championships. However, that was in a time where you were actually allowed to play defense. Miss you all, but the 12th man just won the Super Bowl! In Seattle, the sun is shining...literally, and figuratively.. Thanks Wreck! Russell Okung will be following Walter Jones into the HOF, when all is said and done. Proud to have that Cowboy protecting our starting QB. I'm skipping class at the UW and heading down for a once in a lifetime Super Bowl parade..Go Hawks! Hope all is well with youand yours down in the BIG STATE! Me too Red. Flew cross country and stopped in to visit son and was able to attend a scrimmage. Weather was cold and windy - felt like football season !!!! As I've had a few Husky players in my classes over the past few quarters, I've had the opportunity to discuss the coaching change. Unequivocally, they say Coach Petersen and his staff carry themselves in a much more professional way, on and off the field, then the previous "Frat boy" coaching regime. They say chemistry is becoming much better and that they can tell Coach Pete is a guy with much more character and integrity then the previous regime. I'm really excited to see the game day difference and how the overall philosophy of how they run a team translates to Saturday's. Go Huskies! Hope all is well with all the Monkey's and their families. Page created in 10.105 seconds with 19 queries.